During a community liaison meeting in Seaforth at Huron East’s town hall, an engineer who works on several turbines in St. Columban admitted to the public that most statements made by consultants that residents will “never hear” the large fans are dishonesties. It was a full community conference with almost every chair filled in the council chambers joined by the HEAT group, Veresen Inc., Huron East council members and a few locals. For all those who came, coffee, donuts and a fruit tray were available free of charge. The voice of the HEAT, Jeanne Melady and Gerry Ryan were front-row ready with pens and paper. The two have been present at three out of the last four Huron East council meeting. They expressed their needs to the political gang numerous times, a primary concern was that HEAT did not know who to call. 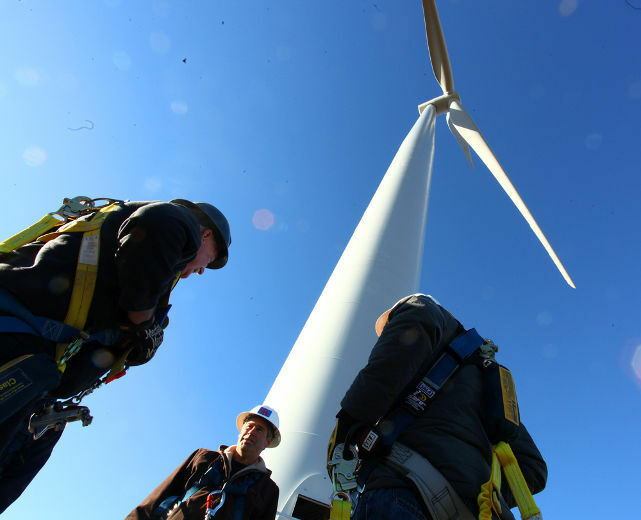 Today was the day to move forward and be heard by the wind turbine company. At a previous council meeting, Huron East was optimistic and sure several questions would be answered at this function. Dennis Mueller, a representative for the community liaison committee started the two-hour session by directing questions and complaints from members of 14 households that live near these wind turbines. These inquiries were aimed at Veresen Inc. and the senior engineer. Mueller put all these objections on a screen so the public could view these alleged accusations. “Personally I was appalled when these reports began to come in as I knew there were health problems but had no idea to this severity,” said Mueller.